Steamboat Springs — Mountain Village Montessori founder Kristen Rockford will make her case to the Education Fund Board Wednesday for why the public charter school should be eligible for funds from the city’s half-cent sales tax. Rockford said she’ll present the board an easy-to-follow graphic detailing the ways funding for public charter schools is not equitable to funding for other public schools, despite both being free to attend and serving local students. Among the inequities facing the charter school is that about 5 percent of the school’s per-pupil funding is kept by its authorizing body, the Colorado Charter School Institute. 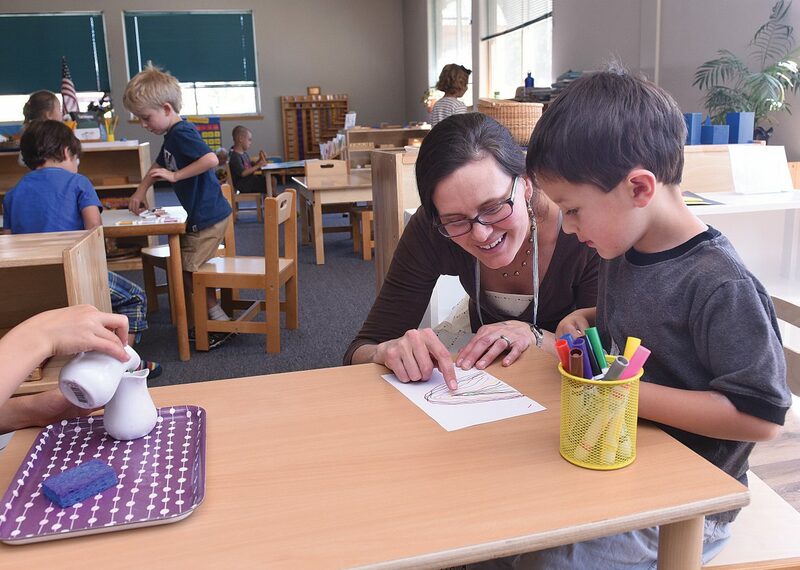 Charter schools are not allowed to levy their own new taxes, as public school districts can, and the Montessori charter school was not included in a recent mill levy proposed by the Steamboat Springs School District to fund full-day kindergarten, leaving the Montessori school to charge tuition for the full-day program this year. Rockford said the school was fortunate to collect $25,000, the most of any participating organization, from local donors during December’s Yampa Valley Gives Day. The money will go toward operating costs for the school, which opened to preschool through fifth-grade students in the fall. Two grant applications submitted by the charter school to the Education Fund last year — one for a portion of the salary for a business manager and one for playground equipment — were denied, but Education Fund Board members haven’t clarified whether they’ll fund requests from the Montessori school moving forward. Education Fund Board President Sam Jones said board members want to discuss whether they feel the Montessori school should be eligible for the funding based on the ballot language approved by voters for the tax, which was last approved in 2008, long before the Montessori charter school opened. Board members last year discussed the idea of adding a new category for the Montessori school to the board’s allocation model, which offers a guideline for what percentage of tax funds are spent on each Routt County school district and community groups. “We want them to recognize that there is a charter school district within Routt County, and there’s a good chance that there may be more charter schools that open up,” Rockford said. Rockford said she’s proposing the Education Fund Board consider incorporating ballot language asking voters specifically to approve sharing the money with charter schools when the half-cent sales tax is next put before voters. The tax is set to expire at the end of 2019, but historically has gone before voters a year prior. This year, the Montessori school is requesting funding for it’s outdoor education program, which is operated in partnership with Yampatika, and for funds to hire an instructional coach, a school employee who provides training to teachers. The Education Fund Board is expected to discuss the allocation model after a presentation from Rockford at Wednesday’s meeting, which begins at 5:30 p.m. at the George P. Sauer Human Services Center, 325 Seventh St. View the agenda here.